HOMEPAGE >> BLOG >> U.S. Steel Industry leads the world – but what about our other minerals and metals? U.S. Steel Industry leads the world – but what about our other minerals and metals? Steel production is up 5.7 percent to 7.6 million tons in January. At the same time, world crude steel production declined to 117 million tons in January (a 7.8 percent drop), with China’s fall in crude output leading the global plunge. 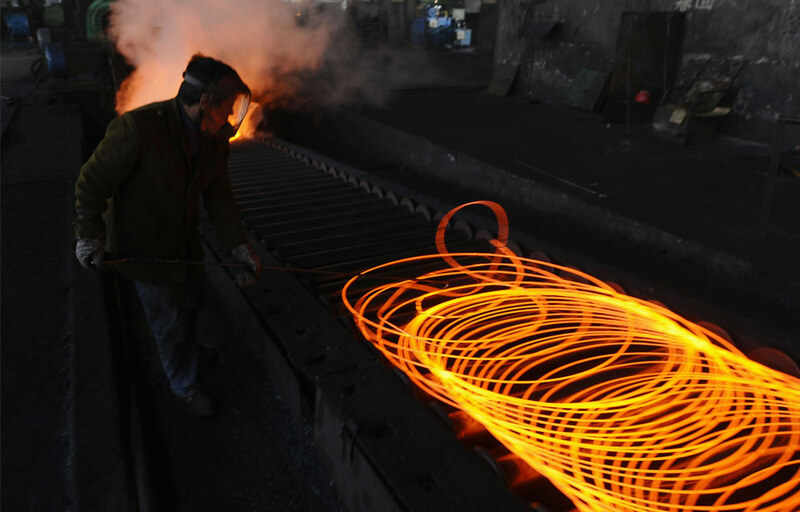 While Asian and European steelmakers are equally negatively affected by a drop in demand, U.S. steelmakers are benefiting from a “judicious control of capacity and a strong performance of the automotive sector, as well as export-oriented and natural resource-based sectors,” giving them the competitive edge over their international peers. It’s great to see this key mainstay metal sector performing well. One of the things we should keep in mind, though, is that when it comes to other critical minerals and metals, the U.S. does not nearly fare as well as it could when compared to other global players, in spite of the treasure trove of natural resources beneath our own feet. In many cases, we are blessed to have the minerals, as well as the technologies to cost-efficiently and – following some of the highest standards – safely explore and develop them, but fail to do so for a number of reasons. Given our mineral potential, we could conceivably lead the world in more sectors than steel, if only our policy makers would focus on creating a framework conducive to it, creating jobs and securing our strategic and economic future in the process.